I’m not going to go on a whole banter (I’ve already done so here on the topic here) but I simply don’t understand the logic behind getting a TV. Honestly, no matter how many times I see someone with a new TV, I never understand why they just wasted their money on something like that. 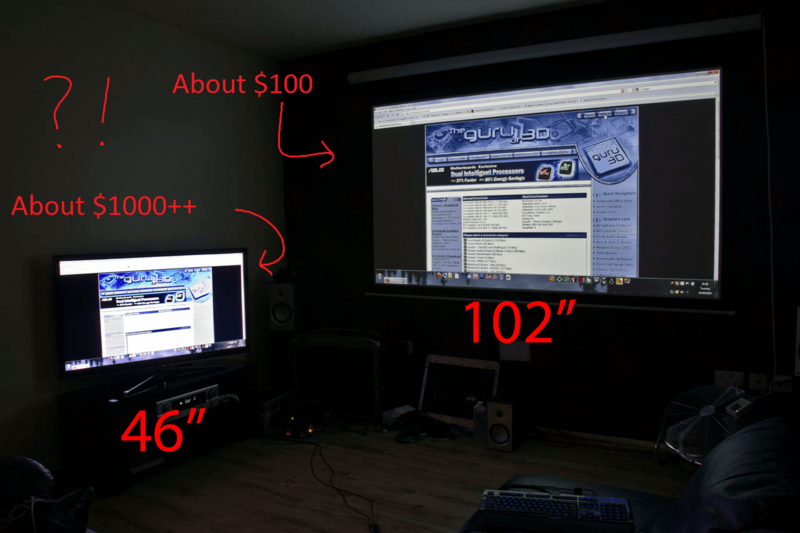 Maybe I’m mentally insane, but I just don’t understand why people craze over TV’s that are less than half the size of a projector. Marriage Proposal From an Azerbaijanian Girl: An Email I Will Forever Ponder. So I get home from school a few days ago and casually open up my email. Oh look! An email titled “Like you!!! !” from a personal address. Let’s open it. Am I insane? Misinterpreting this letter? WHAT the hell did I just read!? I understand getting those junk whereblackpeoplemeet.com or christianmingle.com ads, but this is a personal letter! How old is this girl, too? 12? Honestly, I have nothing more to say. It’s just so strange. How on EARTH would someone get my email? Is it a scam? Lure me in with some story and then somehow i’ll end up disappearing on the walk to the bus stop one morning? It’s all such a mystery. Well. I wish the best to the mystery girl, but i’ll be on my way. One post at a time. NEVER again will I use WordPress’s quick post button. EVER. What a crap feature. It didnt save ANY draft of my post the whole time. I click post, lost internet and BAM. An hour’s work is GONE. Makes me miss blogger…. And now to rewrite that entire thing. Be right back. Crying. Parents, Grandparents, Guardians and all other people who think they have control over what they call kids, I implore you to stop filling soap bottles with water after they’ve run out. What is your thought process in doing so? Are you so cheap that you cannot simply buy a $1.39 bottle of soap? Even if you were a noble soul and bought that bottle, why do you let it rot under the sink while time and time again you refill the empty watery soap bottle? Sure I’ve badgered any culprit of this practice with enough rhetorical questions, but there is one more thing I’d like them to think about. What do you care about more? The health of your child or the extra dollar in your pocket that you so maliciously saved? Smooth Samsung. Smooth. No one will EVER guess. So they changed the color from white to black and called it their own. Nice design work guys. You can’t see it in the picture, but there’s even the same logo on the USB plug. And you wonder why Samsung is being sued. Really guys. I love your phones. I’m typing on one now, but goodness. Next time around, do change up your designs a little! Apple isn’t all that great anyway. Start copying blackberry. They know what they’re doing. HA. See. That was a joke. Im hysterical. The shooter, I have nothing to say about, since there is already enough coverage on the story and it’s all sad, sick and irrational. However, two tweets have also made the front pages today and everyone involved in them should be ashamed of themselves. In hindsight, the people who made the tweets should’ve stood their ground when the people who complained about them bashed because it isn’t like they meant to offend. The news reporters, who were not involved at all, should have stayed out of it and kept their focus on the dramatic and tragic national event that had just happened. Now for the public. I’ll take bets right now that the government is going to use their “never let a good crisis go to waste” and pull out an IMPOSSIBLY long document that they mysteriously wrote within a week to take as many liberties as physically possible. Hello?! Does anyone remember the Patriot Act!? I wont even bother discussing that one. No one cares about our freedoms (or lack of) anyway. See, when emotions run high in national emergencies, we lose our freedoms. They admit that RIGHT THERE. Pig Shaped Headphones. The Greatest of Them All. I wish I was kidding when I say this, but believe it or not, these are the best headphones i’ve ever owned. Sure, it’s hard to justify being a guy and wearing pink obnoxious earbuds, but the quality honestly justifies the humility. Unfortunately, finding a pair of these headphones are near impossible. Originally, I bought a pair for my sister in an airport store as a gift. However, when my cousin and I tested them on the plane, we were beyond jealous. Long after, my sister admit to having lost the pair so I decided to buy a pair myself. After much searching, I found a pair under $20 on a foreign site. The point of this little story? Well, there is none. When is there ever a point to anything I say? Just go scavenge the earth for a pair. As any young toddler would say, arms as wide as physically possible, this much! Above is a picture of two technological devices – Look at that fancy vocabulary. 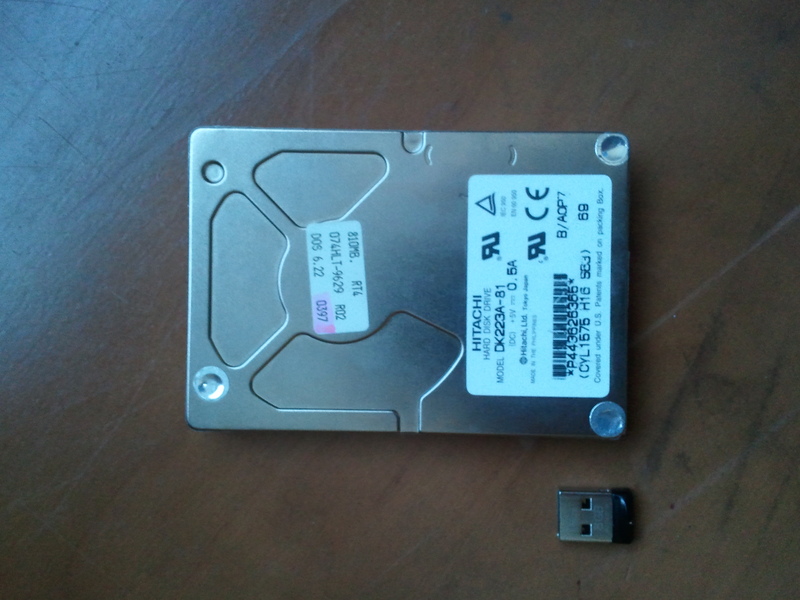 One is a .8 GB Hard Drive and the other is an 8 GB Flash Drive. One was used as an entire computer’s data source. One holds both important files and an emergency version of Ubuntu for when I screw up my computer. It happens. Enough said. I don’t even have any words for this! Literally, that was my whole blog post. Seventy one grams?! And people wonder why America is so fat… Seriously. 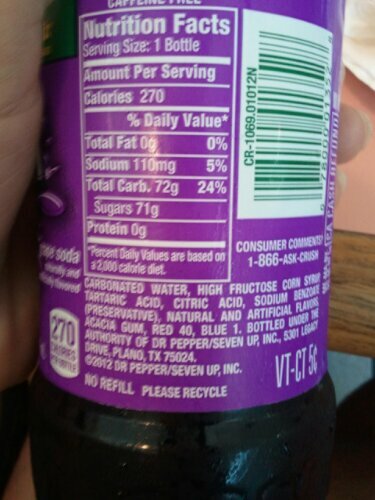 This has so much sodium that it doesn’t even quench anyone’s thirst, so you buy another sugary drink five seconds later. Are people this stupid? On a related note, i’d love to know why Fanta Soda – the same thing, really – in Europe, made by the same company, has only 13 grams of sugar, compared to your 71 grams, yet its taste was incomparable.